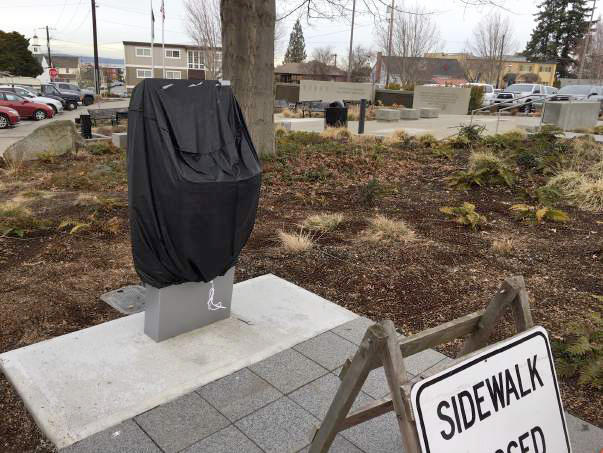 If you have visited the Edmonds Veterans Plaza recently, you will note that the information kiosk has a protective cover placed over it and is not yet in operation. While the unit was sold as “weather proof” that description seems to have been optimistic. Discussions are underway with the manufacturer, who has agreed to replace the faulty parts. The EVP Committee is exploring the placement of a cover or roof on the kiosk to protect it from rain, snow and debris from the overhanging trees. We still hope to hold a dedication ceremony around Memorial Day. Stay tuned for further developments.